Dr. Clive N. Enoch has been a practitioner of project, program, and portfolio management, as well as a manager of project and portfolio management offices over the past 20 years and has worked across multiple industries during this time. Clive holds a master of commerce degree in information systems management from the University of the Witwatersrand (WITS) in Johannesburg and a PhD in computer science from the University of South Africa (UNISA). His PhD thesis resulted in a model for decision making in project portfolio management. 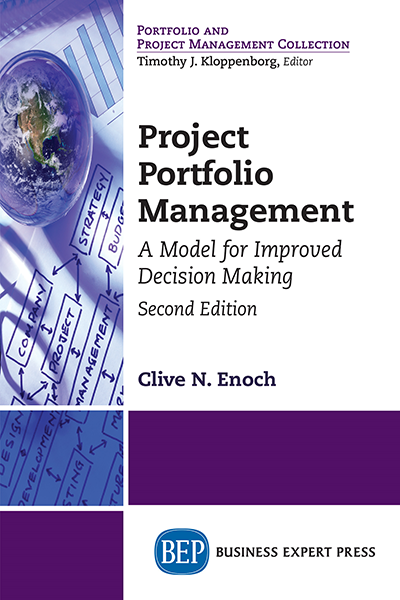 Clive is passionate about project portfolio management and has contributed to the PMI’s The Standard for Portfolio Management, third edition, as a core committee member.